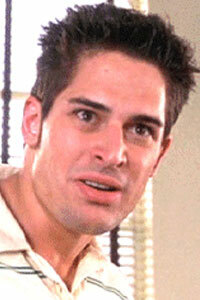 Played by Joe Manganiello, Flash Thompson is Peter Parker’s first enemy. Peter’s personal high school bully and Mary Jane’s boyfriend, Thompson is Parker’s private version of hell. It isn’t until Parker obtains powers after being bitten by a radioactive spider, that he is able to stand his ground against Thompson and fight back. Although he is a strong athlete, Thompson is no rival for Parker’s spider-powers. He is knocked down by a single blow . His girlfriend, Mary Jane Watson, runs to his rescue feeling grateful that no one was hurt further. Thompson’s relationship with Watson is strained and they break up shortly after graduation. He attends Harry Osborn’s funeral alongside many more of Osborn’s peers that went to high school with him.